Crown your brand new conservatory with a beautifully crafted roof that’s been built to your specification, or replace your existing one with a model that’s more thermally efficient and will save you money on your heating bills. 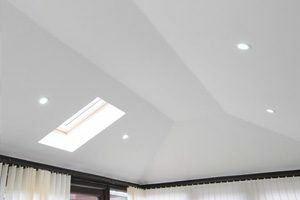 We offer the market-leading WarmRoof across our tiled conservatory roofs – an independently verified system that returns U-values of 0.17 that far exceed the recommended levels defined by Building Regulations. 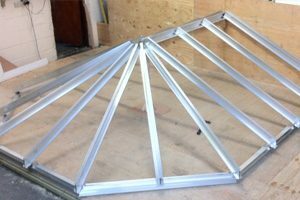 Its lightweight aluminium frame means it’s easy to install, whilst its breathable ring beam prevents condensation. Conservatory roofs that have deteriorated, or aren’t performing they are designed to, can offer inferior security, aesthetic and heat retention. Our tiled conservatory roofs are an innovative home improvement solution to ensure your home stands in line with modern demands. These contemporary tiled conservatory roofs are the result of a cutting-edge manufacturing process, offering a bespoke build to ensure you get the perfect style for your home. 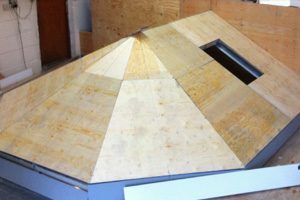 This roof system is handcrafted to achieve an unrivalled standard of excellence, ensuring you bring a new addition to your home that is set to satisfy. 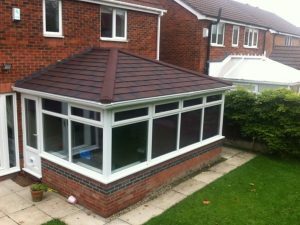 All the tiled conservatory roofs that we install are aesthetically pleasing and will add significant market value to your home. Whether you want to achieve a classic or modern design, our experienced team will be able to help you achieve your objective. The intelligent design of our tiled conservatory roofs means that they can retain heat exceptionally well. 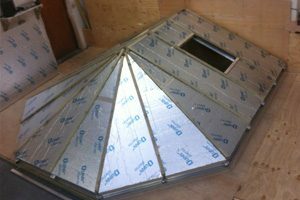 Whether you’re replacing your roof or building afresh, you’ll benefit from a fully-habitable environment and can significantly lower heating costs too. You want a quality product that’s installed correctly the first time round and with minimum disruption. Using our knowledge and experience of installing tiled conservatory roofs, we’ll get it right the first time and within your deadline. Sutton Windows only ever installs tiled conservatory roofs that have been rigorously tested and that comply with all building regulations. 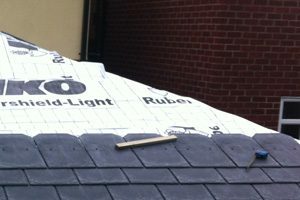 You can trust in the quality of our roofing products, which have been designed to last for a very long time. We are proud to provide tiled conservatory roofs that are market-leading and are bound to enhance your brand new or existing extension. Using our expertise, we’ll identify your needs at the beginning to ensure we understand your aims. 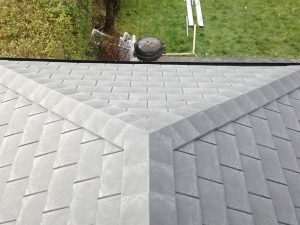 The tiled conservatory roofs that we offer utilise bespoke, exclusive aluminium framework, high quality thermal insulation panels, structural sub frames and a water proof envelope and slate finish to ensure market-leading standards of appearance, thermal efficiency, security and structural integrity is achieved. 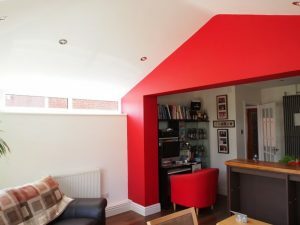 We also offer a comprehensive range of internal roofline finishes and accessories to help you find your perfect conservatory tiled roof simply and easily. This includes traditional lighting, ceiling fans, integrated downlights and high quality roof windows. Our tiled conservatory roofs can be made to suit a wide range of conservatory styles, including ‘Lean-To’, ‘Gable-End’, ‘Victorian Roof’, ‘Edwardian Roof’, ‘Hipped Lean To Roof’, ‘Double Hipped Roof’ and ‘P-Shaped’. This means we can accommodate a wide range of properties. Once you’ve found the tiled conservatory roofs to suit you, you’ll be able to choose from a range of intelligent tile options. 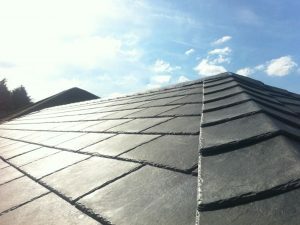 This includes our premium roof slate range, offering the colours ‘Brick Red Slate’, ‘Steek Grey Slate’, ‘Chestnut Brown Slate’, ‘Charcoal Black Slate’ and ‘Premium Plum Slate’. 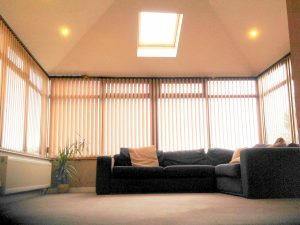 We can tailor the design of our tiled conservatory roofs to suit you. Visit our quotation tool to tell us your specifications and get some competitive guideline prices – you can submit as many requests as you want. 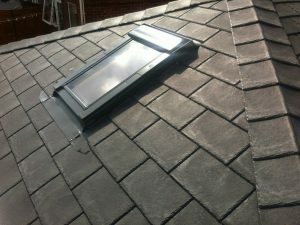 We’re here to help if you have a question, or would like to get your tiled conservatory roofs quote in person. Please use our contact form to submit your query and we’ll get back in touch as soon as we are able.